My first question for this "new" all-purpose Tolkien thread is for those of you who have read the Silmarillion. How on Earth did you manage to read it? I devoured The Hobbit and The Lord of the Rings as a teenager and have re-read those books multiple times in the years since. I really do love those books and I know them really well, but I have tried to read The Silmarilion three times now and every time I end up giving up after about a chapter. That book really is some impenetrable s**t! I have to give those of you who have read LoTR multiple times some due credit. I was in junior high when I first read of them. The Hobbitt was a fun read and I read the first two books of the trilogy (I never read the third volume for reasons I can no longer recall). Though I do remember loving the chapters that dealt with the battle of Helm's Deep. Since then though, I've never re-read any of them. I've tried occasionally but my feeling has become that for me, I have to be in the right frame of mind or interest to read them. Because at the beginning of Fellowship, when Bilbo is setting up his birthday party, it feels like Tolkien launches into a genealogy of all of Hobbiton and without the right frame of mind, such reading just Bogs-Me-DOWN and I can't continue. It is frustrating to some degree. The wife, on the other hand, she has re-read the trilogy quite a number of times. But unlike some here, she's never been able to pierce The Simarillion either. But over the years, she keeps trying to gently push me into re-reading it. For example, every Kindle that I've owned so far, she has made sure those books are downloaded onto it. Hail the King, the one with the Ring! Found Lord of the Rings after watching the Rankin Bass Hobbit cartoon in 1977. Checked out the Hobbit from the school library and devoured it over a rainy weekend. Then it took me forever to get the books checked out from the city library that I could get to. The books were in popular demand and always a long wait because of wanting to read them in order. Book 1 was never there and I refused to read out of their sequence and wanting/wishing I could get all 3 for the 2 week check out period. Let's smoke some delicious Old Toby pipe-weed together in celebration. I'm curious as to when and at what age all our Tolkien readers first read his books. Also, which editions they first read. My first glimpse of the hobbit was when the Rankin-Bass animated movie was on broadcast TV. I didn't see all of it, it was a weekend night and we were visiting family friends who had it on and I saw the dragon and was engrossed, but had no clue it was tied to a book. It was probably 1978 or 1979 (the movie was released in '77 and it was while I was living in CT, and we moved to Maine in May of '80, so that was the window I saw it in. I was 8 in '77, so was like 9 or 10 when I first saw it. I quickly learned it was a book but didn't encounter the book itself until after we Moved to Maine when I found this edition in the school library when I was in 6th grade, so it was fall of 1980. The elementary school library only had the Hobbit, not the Lord of the Rings. It did also have Lloyd Alexander's Prydain Chronicles, which is what I read immediately after reading the Hobbit. That summer I got a copy of Fellowship for my birthday. 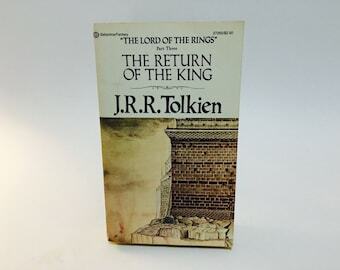 but I had to read Return of the King from the jr. high library once I got back to school in September, as things were real tight financially and my parents couldn't afford any extras outside of occasions like birthdays and X-Mas, and I had no access to earn my own money and no allowance. That summer after 7th grade we moved back to CT, and my older cousin gave me his copy of Return of the King (well sort of, he had gotten in trouble for smoking pot and his step dad blamed all the fantasy sstuff he wa sinto and mad ehim give it all away, it's how I got my first Conan paperbacks as well). but the front cover had the art cut off (he had put it up on a corkboard to decorate his room). and since we were staying in my grandparents 3 family Mark Twain era house in downtown Hartford for the summer before we got our own place in the fall, I didn't know anyone, had no one my age around and lots of time to kill, so I reread the entire trilogy twice that summer and the Tolkien Reader twice. which is the only version I kept of all of those. Nice. 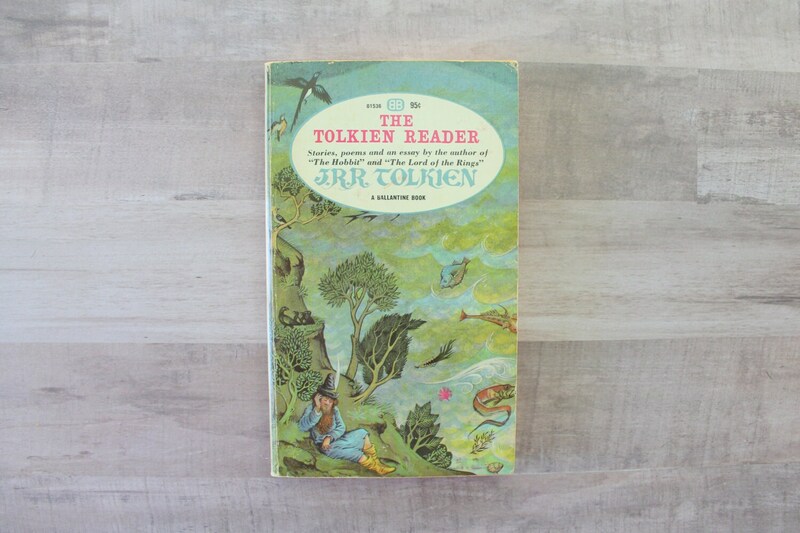 I read that Tolkien Reader as well, I think later into 1976, can't remember exactly what time of the year it was. And I asked for the Silmarillion for Christmas in 1977 - it had just come out in hardcover. Funny - now I try to recall, I can't think how I knew about it beforehand, in that pre-internet age. Wiki says it was released in the Fall of 1977 so it's possible I just happened to see it on display in our local bookstore, but for some reason I have the idea that I knew about it before ever seeing a copy. No idea where I would have read about its release, though. I got a copy of the Silmarillion for Christmas of '82 when I was in 8th grade, but failed in my first attempt to read it at that time. I was slightly obsessed with Tolkien at that point. 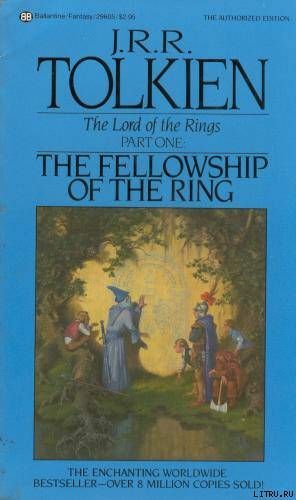 I had gotten a copy of Lin Carter's A Look Behind the Lord of the Rings, and my freshman year of high school I did my first term paper for honors English on the Lord of the Rings, arguing it followed the structure of the typical medieval romance, identifying the elements of said romantic structure and then demonstrating their presence in LOTR. The elements of the medieval romance are not that far off from the elements of Campbell's Hero's Journey, but there are some difference. I had wanted to do a paper comparing types of fantasy i,e. Tolkien vs. Robert Howard but was told by the English teacher that Howard and pulps were barely better than comic books and not worthy of academic study (oh how times have changed since then) and suggested the medieval romance aspect in conjunction with Tolkien. It was not too long after that (my sophomore year of high school) that I discovered Grenadier miniatures (who I got a lot of mimis for AD&D from) had done Lord of the Rings miniatures sets. I managed to get two of the boxed sets, The Fellowship of the Ring and Sauron's Dark Ones. it even had Bill the Pony! and Sauron's Dark Ones had the balrog! There were other sets (Isengard in particular I wanted) but those were the only two I managed to get. that was also around he time I discovered Middle Earth Role-Playing, a tabletop rpg form ICE (IronCrown Enterprises). it's been about 10 years since that game though. I played a dwarven loremaster and my wife played one of the Rohirrim in a game set between the events of the Hobbit and the Fellowship. 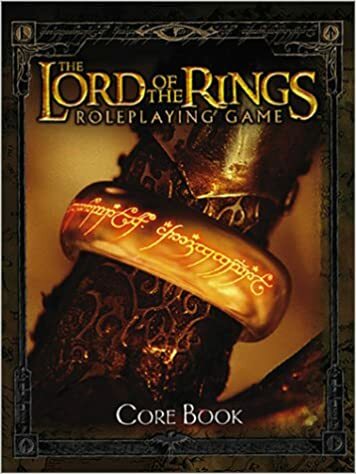 It is one of the most fun rpg experiences I have had, in large part due to our friend Jonathan, who ran the game and is one of the biggest Tolkien fanatics I have personally known. The boy's ability to recall and retain the most obscure bits of Middle Earth lore was just impressive. Great subject for discussion, berkley! 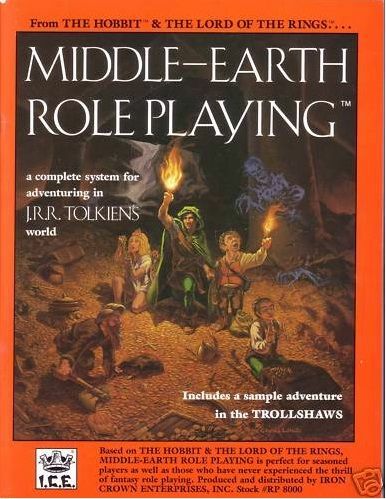 I first became aware of Tolkien's work in the early '80s via the Dungeons & Dragons role-playing game. My best friend back then, David, introduced me to playing D&D when I was about 8 or 9, and that got me into fantasy generally. 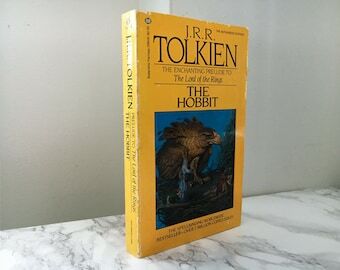 Although he was the same age as me, he had already been reading The Hobbit and The Lord of the Rings for a year or two, having "borrowed" the books from his parent's library (they were a couple of old Hippies and very into their sci-fi and fantasy literature). Once I'd actually read these books, I became fully obsessed with Middle-earth and would re-read them again and again as a teenager. 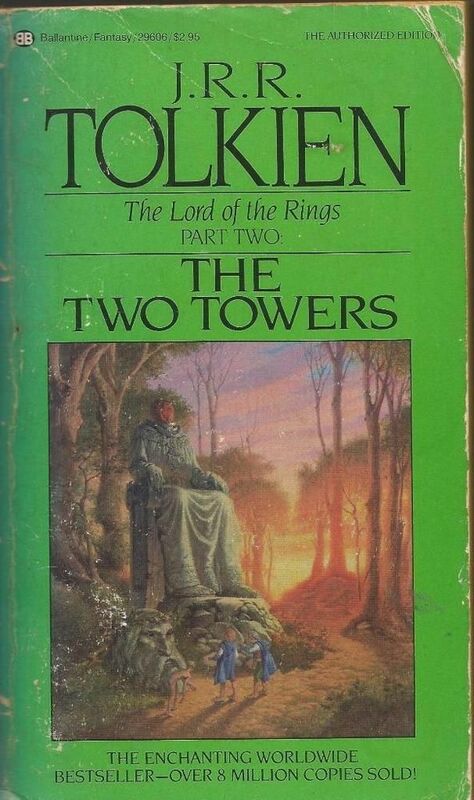 It would've been 1987, when I was 14 or 15, that I found a copy of The Silmarillion gathering dust in the library of my Secondary School, but, as I noted earlier in this thread, I struggled to get further than about a chapter into it. Since then, I've tried another two times to read that book and every time I end up giving up after about a chapter. I am definitely considering a fourth attempt after reading people's comments in this thread about how best to approach it. Since David and I were both into fantasy role-playing games and books like Dungeons & Dragons, Fighting Fantasy, Pendragon, Tunnels & Trolls (along with other non-fantasy games such as Call of Cthulhu, Star Trek and Judge Dredd), it was a no-brainer that we'd start playing Middle-Earth Role-Playing, or MERP, when it came out. Wikipedia says that MERP was first published in 1984, but we definitely weren't playing it that early. I remember playing it from 1987 or so, until about 1989. Maybe it came out later over here in the UK, or maybe we were just slow on the uptake. I'm not sure I read any of Tolkien's books in my 30s, although I continued to listen to the above radio dramatisations fairly regularly. Plus, of course, the Peter Jackson's LotRs movies started coming out, which I loved (his Hobbit was terrible though!). I have the extended edition DVD box set of the LotRs trilogy and I still think that they are fantastic cinematic adaptations of the books -- much better than we fans had any right to expect them to be. I don't really remember. I can guesstimate when I came across most books, but they aren't as easy to pinpoint as funnybooks. I know I read The Hobbit first. My high school used to have a semester English class in Fantasy Lit and both my middle brother and my sister had taken it. So there was a copy of The Hobbit at home. Some time in Junior High (probably) I read it and then moved on to The Lord of the Rings. I was enthralled and read it at least every other year through college. I got a copy of the Silmarilion from the Science Fiction Book Club at some point in high school. But I've never managed to get through it. One of those books I find utterly unreadable. I read The Hobbit to both of my boys and they loved it. At some point I tried a re-read of LoTR following the first movie. But I got to Tom Bombadil and that was all she wrote. I couldn't go any farther. Tolkien's writing style just does not work for me at all any more. I can read the Hobbit...but LoTR is just doesn't work. I'll probably try again at some point. It's one of those things I loved and lost. Around 1980 (I was 15 or 16), there was this series of novels in the small books section at The Bay... I recognized the writer as the guy who had written The Hobbit, but didn't really know who J.R.R. Tolkien was. I must say the massive number of pages was a little daunting (600 pages for the first one alone!) but there was something really alluring about it. I looked at it for two-three weeks and finally bought the first volume. I had a hard time getting through the first few pages (in the Shire) but as soon as Frodo and Sam got underway I was completely engrossed. I read the three books as a junkie does heroin, although I stopped right before the last chapter, realizing that once I was done the adventure would be over! I managed to restrain myself to just a few pages per day. Next I borrowed my sister's copy of The Hobbit, which I enjoyed tremendously. There was such joy in that book! After that, the logical thing would have to go for The Silmarillion... but that was no longer available in French, and my English was still approximative. 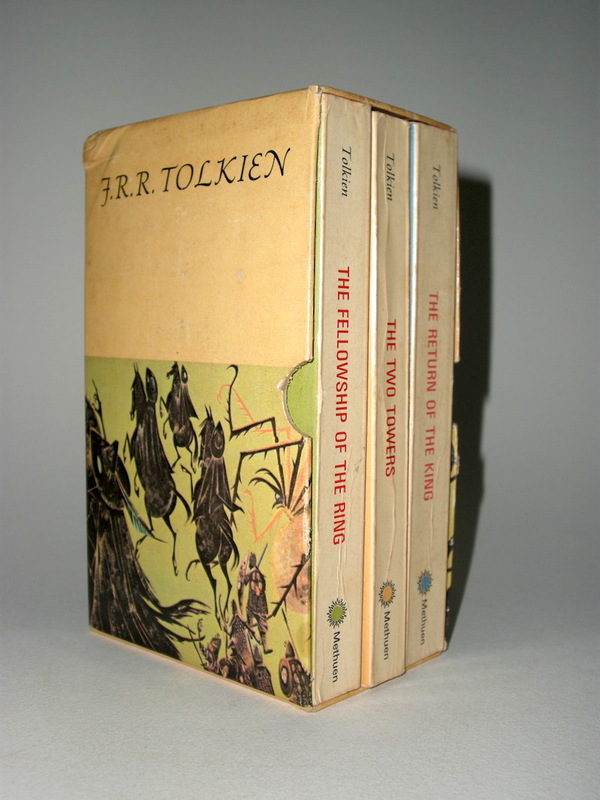 The next best thing I could get my hands on in the following years were these two green books translating Tolkien's poetry and collecting short tales like Farmer Giles of Ham, Leaf by Niggle and so on. 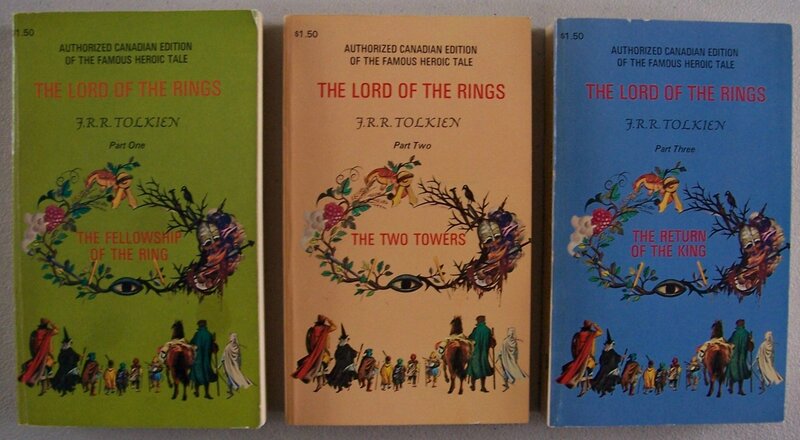 I also got a few paperbacks about Tolkien's work, mostly because there was Tolkien's name on the cover. (From what I can recall, these books were okay). In 1989 I inherited a friend's English versions, although I'm still waiting to find the right hardcover copy. This is my Tolkien shelf today. A little research tells me this edition is from 1989, so I would have been about 9 years old at the time.